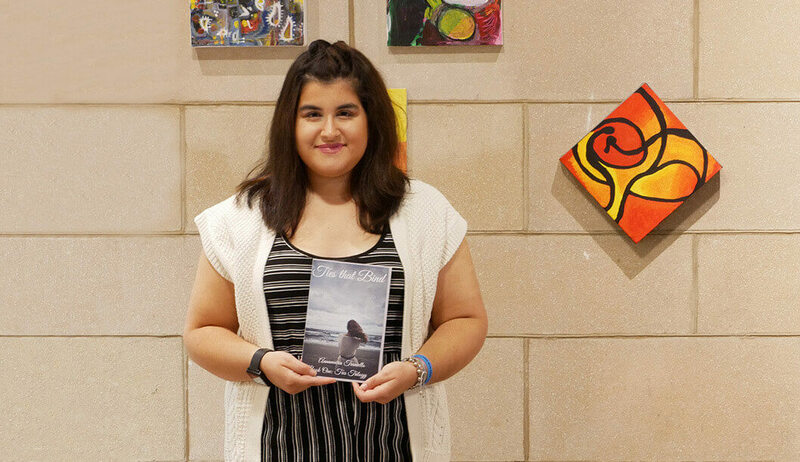 A double major in secondary education and English, Annamaria Traniello ’21 is the author of a spooky literary trilogy for young adult readers. On any given night in Berchmans Hall, Annamaria Traniello ’21 can be found hard at work, sitting in one of the plush chairs lining the first floor rotunda. Unlike other students, however, it’s safe to assume that she isn’t studying for classes — at least not entirely. Instead, she’s deeply engrossed in thought, carefully mapping out the plot of her next novel. Even though she is only a second-year student at Elms, Annamaria is already an accomplished author. In high school, she self-published a book titled Ties that Bind, the first volume in a trilogy that explores the mysterious life of the protagonist Allison, a young woman who lost both of her parents as a child. A self-described young adult (YA) novelist, Annamaria enjoys writing paranormal fiction. Drawing inspiration from the likes of Cassandra Clare and J.K. Rowling, Annamaria remixes themes from her literary idols to produce original storylines. While she is conscious of following genre conventions at times, she said that she always looks for opportunities to deviate from the norm, however time consuming it may be. Annamaria also discovered ways to improve her writing process while taking a first-year rhetoric class with professor Dan Chelotti, an associate professor in the English department. After being introduced to autobiographical modes of expression, Annamaria felt inspired to infuse more realism in her second and third novels, and to draw on her own life experiences to shape her narratives. One of the ways that Annamaria blends fact with fiction is in her descriptions of her story’s setting. While much of Ties that Bind takes place in imaginary spaces, some of the plot unfolds in Cape Cod, MA. After vacationing to Mayflower Beach with her family every summer, Annamaria was able to draw on her memories and experiences of the Cape to paint a realistic picture for her readers. While she still has a few years at Elms ahead of her, Annamaria speculates that she might teach high school English as a career, and then spend her summers working on literary projects. In her eyes, working as an artist means creating works that profoundly affect the lives of others. The vibrant literary scene at Elms is fueled by a coterie of creative writers like Annamaria. The Blue House is a space dedicated to lovers of language and the arts, complete with individual writing spaces and access to English faculty. Bloom Literary Magazine offers students the chance to publish their work, regardless of their major. 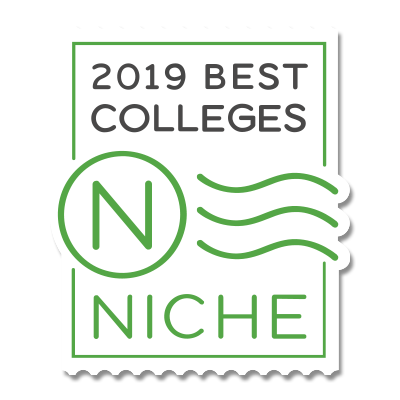 Contact us or schedule a campus visit to learn more.